Need help with final deliverables? The editing room is where the magic comes alive. We have access to state of the art digital post production facilities and talented professionals to guide you through the 3rd phase of your production adventure. 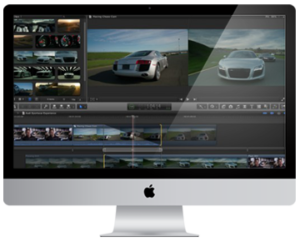 Our resources offer stunning editing, visual effects, animation, & sound design. If you’re looking to evoke precise emotion with beautiful cuts that tell a compelling story and leave your audience feeling moved, you’ve come to the right place. We provide professional video editing services and solutions… start your post production work flow the right way and put your project in the right hands to achieve the ultimate cut you desire. Bring your footage to life by enhancing the wide spectrum of color that is captured in any given shot. Change the mood of a scene or bring continuity between unevenly lit shots. We offer professional sound design services and solutions that cater to the motion picture industry. From scoring to sound FX, to mixing and mastering…We will bring your sound design needs to a reality. We will set your project up with a team of creative artists that achieve fantastic results. VFX needs are growing abundant now-a-days and we are here to help put the right magic into your scene. Add the right touch to your project with logo's, chyrons, or credits that catch the eye and blend well with the overall style. Add that professional edge that your video needs. We offer professional animation services and solutions and will provide the right team of creative animators to suit your projects needs. From advanced to basic animation… we can accommodate you to bring your vision from the page to the screen.